There’s no denying it can be incredibly tempting to go with store-bought pizza dough and sauce when making your own pizza at home. That’s exactly what Rachael Ray wanted to prove just how it easy to make your own of each, and why it’s worth it! 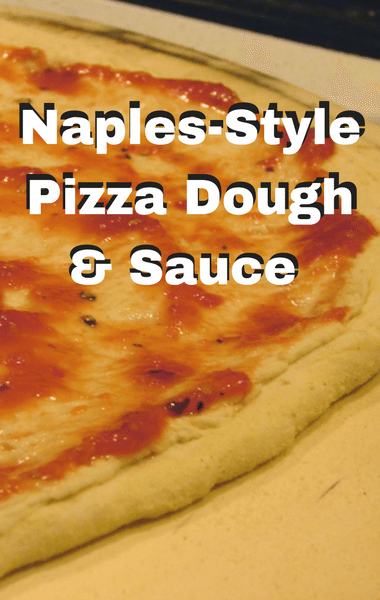 Her Naples-Style Pizza Dough and Naples-Style Pizza Sauce both come together quickly, and are so delicious you’ll never buy store-bought again. It’s important to think ahead when it comes to the dough, however, because it needs time to rise and then has to sit in the ridge for 2-3 days before you serve it. So if you’ve got family coming over or just want a fun and tasty homemade meal, go ahead and get started now. You can thank us later!